REDONDO BEACH, Calif. â July 8, 2013 â Northrop Grumman Corporation (NYSE:NOC) has taken another significant step to reduce the risks and costs associated with producing an extremely high frequency (EHF) satellite communications system for the U.S. Air Force's B-2 stealth bomber. 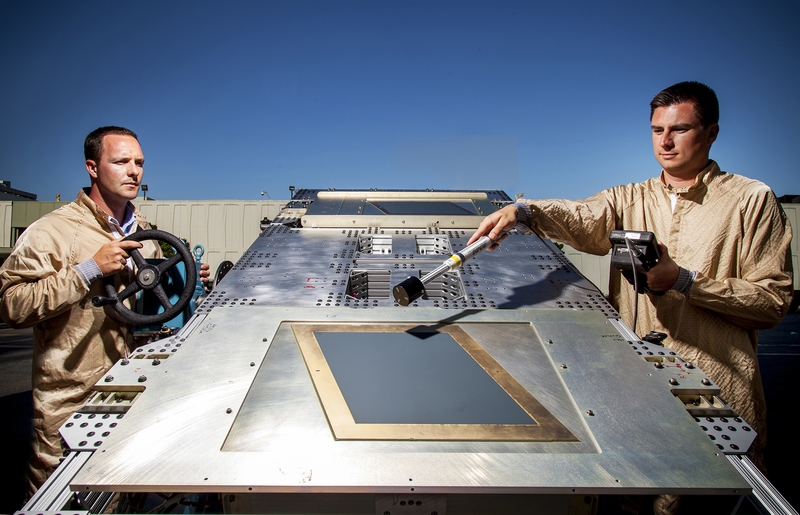 In a demonstration conducted May 23, Northrop Grumman proved that a new active electronically scanned array (AESA) antenna it has developed for the B-2 can establish and maintain communications services with an on-orbit Air Force Advanced EHF (AEHF) communications satellite. The demo included the antenna, a Navy Multi-band Terminal and the satellite. Northrop Grumman is the Air Force's prime contractor for the B-2, the flagship of the nation's long range strike arsenal, and one of the world's most survivable aircraft. An EHF satellite communications system would allow the B-2 to send and receive battlefield information significantly faster than its current satellite communications system. "Our demo marks the first time that AESA antenna technology has been used to communicate with the AEHF network," said Byron Chong, Northrop Grumman's B-2 deputy program manager. 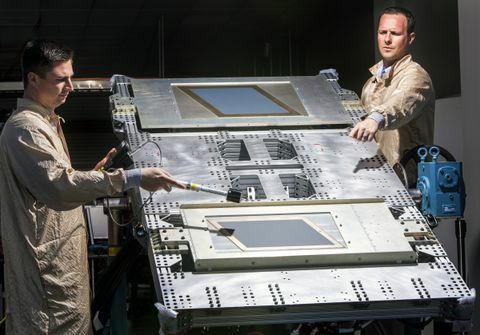 "We showed that our antenna will consistently produce and maintain the high-gain beam needed to communicate with AEHF satellites." During the test, he added, Northrop Grumman successfully demonstrated extended data rate (XDR) communications between the AESA antenna and the AEHF satellite at EHF frequencies. XDR communications take advantage of the AEHF satellites' most advanced, most secure signaling protocols and communication waveforms. The new antenna is designed to support both tactical and strategic missions. Its innovative "no radome" design allows it to bring new communications capabilities to the B-2 while maintaining the aircraft's major operational characteristics. Earlier this year, Northrop Grumman validated the performance of the new antenna on instrumented test ranges. The tests verified the antenna's performance over its entire transmit and receive frequency band, and over its required range of scan angles.